Resilient, translucent polyethylene narrow-mouth wash bottles. Material thickness designed for easy handling when squeezing. 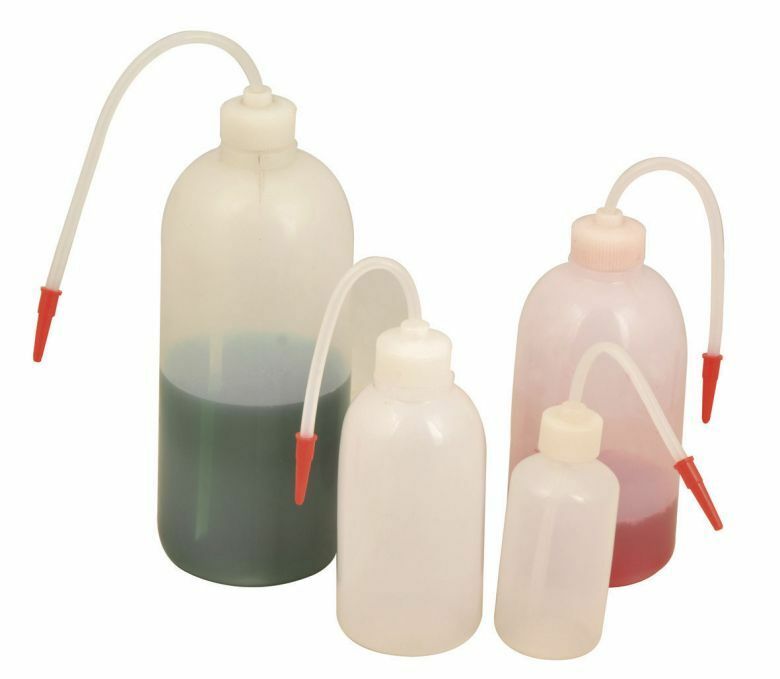 The cap is fitted with a flexible polyethylene delivery tube with nozzle, which can be aimed wherever required, and the nozzle has a removable cap.